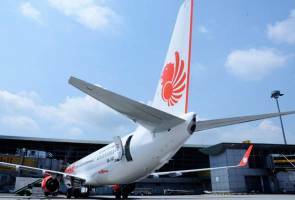 KUALA LUMPUR: Malindo Air is expanding its network to embrace Jeddah (Saudi Arabia) and Guangzhou (China), with flights from the Kuala Lumpur International Airport. In a statement today, the airline said the Kuala Lumpur-Jeddah flight will commence effective Feb 21, offering a seamless connectivity between Malaysia and Saudi Arabia. Meanwhile, the inaugural flight from Kuala Lumpur to Guangzhou is scheduled to commence on March 15. To celebrate the new service, Malindo Air is offering a special promotional return all-in fare for the Kuala Lumpur-Jeddah route on business class from RM3,999 with economy class starting from RM2,799. The booking period for this promotion is from Feb 8, 2017 onward for the travel period from Feb 21, 2017. For the Kuala Lumpur-Guangzhou route, the one-way all-in business class fare starts from RM1,299 and economy class from RM299. The booking period is from Feb 8, 2017 onward for travel from March 15, 2017. The fares are all-inclusive with perks such as free baggage allowance, in-flight entertainment and meals. Malindo Air's services to Jeddah from the Kuala Lumpur International Airport (KLIA) will be twice weekly from Feb 21, 2017 until March 25, 2017, with the frequency increasing to daily flights from March 26, 2017 onwards. The daily flights to Guangzhou will depart Kuala Lumpur at 10.00 pm and arrive at 2.10 am. The return flight departs at 3.10 am and arrives Kuala Lumpur at 7.30 am. There is no time difference between Guangzhou and Kuala Lumpur. Malindo Air operates over 800 flights weekly across a continuously growing network of about 41 routes in the region.